Use the Report Wizard and standard ADO.NET to design a report based on up-to-date WordPress data. The CData ADO.NET Provider for WordPress is fully integrated into the Crystal Reports for Visual Studio development environment. You can use the standard ADO.NET components to create reports just like you would work with SQL Server, but with real-time connectivity to WordPress. This article shows how to complete the three steps necessary to add WordPress data to a report that refreshes when opened. 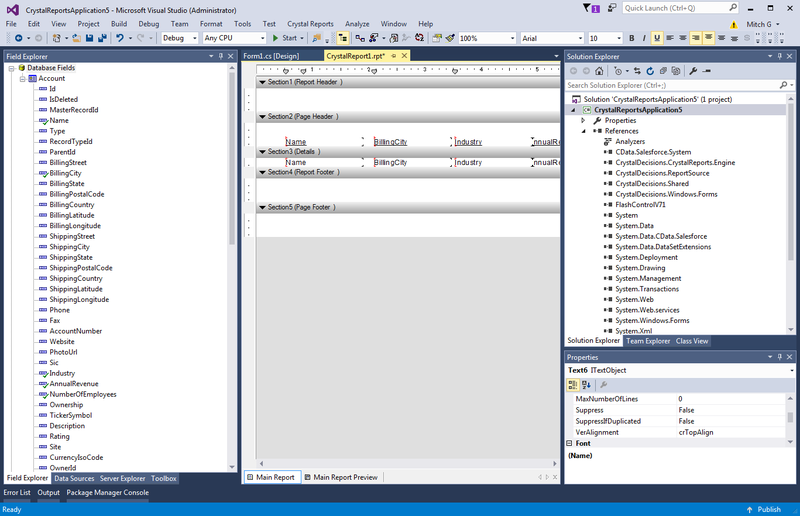 Note: You will need to install Crystal Reports, developer version for Visual Studio to follow this tutorial. To follow this article, you will also need a Visual Studio Crystal Reports project. This article will add a report to a WPF application. You can create one by clicking File -> New Project and then selecting the Crystal Reports WPF Application template. In the resulting wizard, select the option to create a blank report. Creating an ADO.NET data source for WordPress from Server Explorer makes it easy to create a DataSet that can be used in Crystal Reports wizards and the Crystal Reports Designer. You can find a guide to working with WordPress data in Server Explorer in the "Getting Started" chapter of the help documentation. Follow the steps below to use the Visual Studio ADO.NET DataSet Designer to create an ADO.NET DataSet object. Crystal Reports will bind to the DataSet object, which contains WordPress table metadata. Note that this approach also adds a connection string to App.config; you will use this connection string later to load data into the report. In the Solution Explorer, right-click your project and then click Add -> New Item. Select DataSet. The DataSet Designer is then displayed. 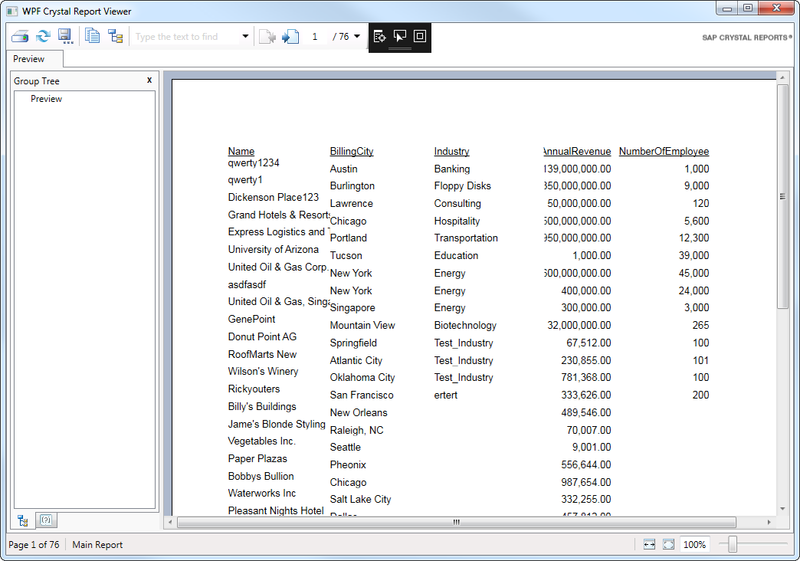 Drag and drop tables from Server Explorer onto the DataSet Designer. This article uses the Categories table. 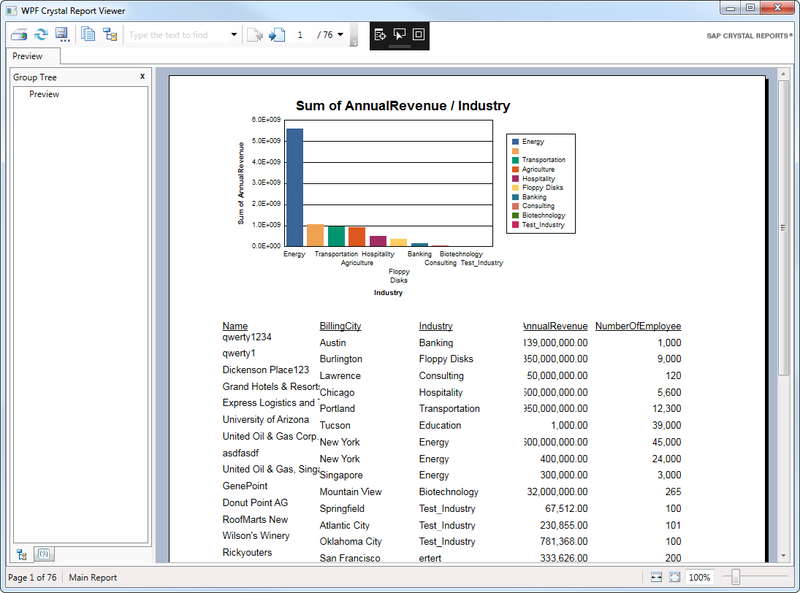 Double-click the .rpt file in the Solution Explorer to open the Crystal Reports Designer. Right-click the designer and click Database -> Database Expert. Expand the Project Folder and ADO.NET DataSets nodes and drag the DataSet you created into the Selected Tables box. The fields are now accessible from the Field Explorer. Drag and drop fields from the Field Explorer to the Details section or another section of your report. Having created the DataSet, which will only contain the metadata, you will now need to create the DataTable containing the actual data. You can use the WordPressDataAdapter to fill a DataTable with the results of an SQL query. Add a reference to System.Configuration.dll to your project to be able to use the connection string from App.config. Add the following Window_Loaded method in your Window.xaml.cs to execute the SQL query that will return the DataTable. Note that your query needs to select at least the same columns used in your report. Run the report. When the report is loaded, the provider executes the query to retrieve the current data. Right-click in the Crystal Reports Designer and click Insert -> Chart. Select the Report Header or Report Footer section. The Chart Expert is then displayed. On the Type tab, select the chart type. This article uses a side-by-side bar chart. On the Data tab, select the column and conditions for the x-axis. For example, drag the Id column in the DataSet node onto the box under the On Change Of menu. Select the x-axis column and click the TopN and Order buttons to configure sorting and limiting. Select the columns and summary operations for the y-axis. For example, drag the Name column in the DataSet node into the Show Values box. Note that Crystal Reports performs the aggregation on the data already loaded into DataTable, instead of, for example, executing a GROUP BY to the WordPress API. This will also be true for the report creation wizards. You could gain more control over the queries executed to WordPress by creating another DataSet and populating it with a different query. See the help documentation for more information on the driver's SQL engine.